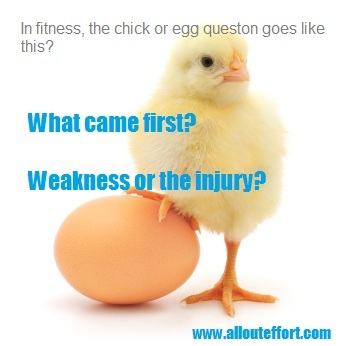 What came first, your weak back that gets hurt from any activity? Or the activity that hurts your weak back? Either way the solution seems to be about making your body stronger.